Here is the affordable stick built home you have been waiting to see hit the market. 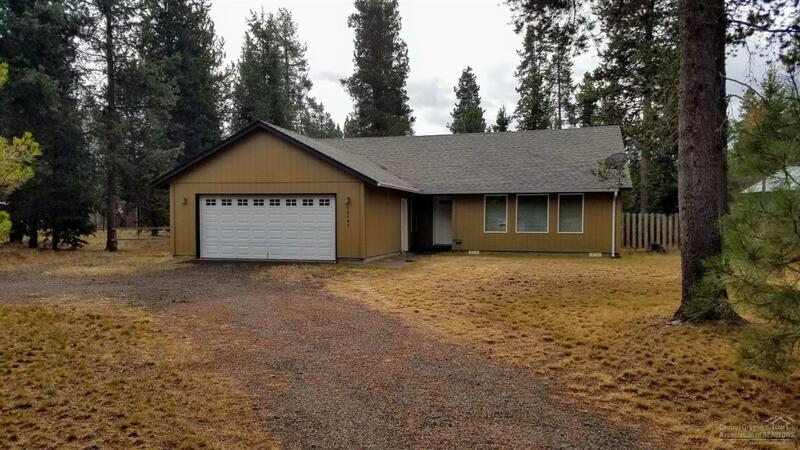 Large 1 level homes on nearly 1 acre parcels at this price point are getting hard to find. Open, Vaulted Airy floor plan, large windows that bring in the natural light. 2 car attached garage, private fenced lot on .86 acre. Store your toys, build a shop if desired. Recreational enthusiasts come enjoy all that Central Oregon has to offer. Mt. Bachelor, Newberry Crater, World class fly fishing, Lakes, Streams, Golf, Ski, Snowmobile, Hike, Bike. A great place to call home.